Each season of the year comes with it’s own unique set of challenges when it comes to chores for kids. In the Springtime we realize how lax we’ve gotten about chores since the holidays and decide to give it a go and this time be more organized than last time. . . In the Summer we’re faced with keeping the kids busy all the time and it seems natural to crack down on chores to help use up their spare time. . . In the Fall we INSIST that chores are going to be a more regular part of our routine as we send the kids back to school and find our new normal again. . .
And in the Winter with all the breaks from school for various holidays it becomes clear that the wonderful schedule we made in the Fall is going to need revisiting to fit in with the hectic winter and holiday season. If you’ve fallen off the “chores” bandwagon, or rather, let your kids fall off, we have a few tips to help you get back on track. 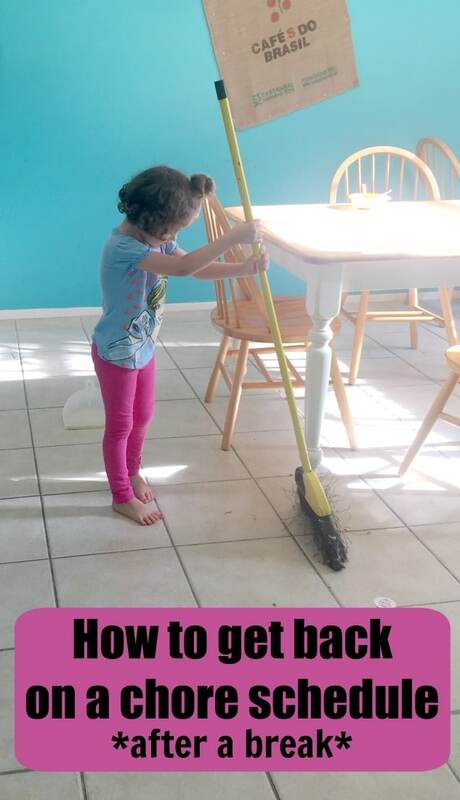 Make it achievable – If your kids have had a chore hiatus for a few weeks OR you’re starting an official chore schedule for the first time, take baby steps. While it’s realistic for each child to have a couple of things they are responsible for each day, going from NO responsibilities around the house to several is a challenge. Help set your kids up for success by setting realistic expectations for them and achievable goals for each day until they work up to do the full load of chores they are going to be responsible for. Making it a positive experience for everyone goes a long way in maintaining peace in the house, and in keeping up with the chore schedule this time around. Make it fun – There’s something about music that make it impossible to be grumpy while doing chores. If we have a lot to do around the house I always whip out our danciest tunes and we hop around the house while we clean. I hope my kids never get too old for this!!! Make it logical – My oldest has a hard time participating in anything he doesn’t fully understand. It’s important to him that we talk through things like WHY each member of our family is expected to do chores. Complaints of “I didn’t make this mess, I shouldn’t have to clean it up” are met with the explanation that we all help each other out and depending on my mood, a list of all their messes that I’ve had to clean up in the last few days. After they understand they aren’t being specifically targeted for extra work, or unfairly tasked with things, the chores seem to come a little easier. Make it rewarding – COUNTRY Financial® has a ChorePal app that creates a fun atmosphere for teaching kids about work and reward. You can use it to introduce concepts like savings, work ethic and even investing. I love that we can track things that they are expected to do because they are a member of our family like keeping their rooms clean or getting good behavior at school with the “points” system in the app, but also assign extra chores for monetary rewards in the same app! It also helps me remember to have them actually do their chores, because I see the app right there on my phone all the time! 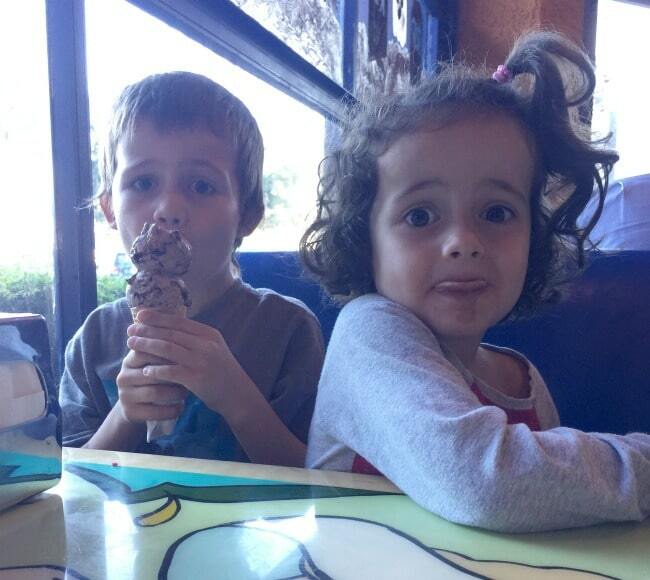 They can save up their points for a special day out (ice cream, anyone?) and piggybank their income until they are ready to use it at the store. They can also request a ‘cashout’ of their money that mom or dad can approve and give them the cash. 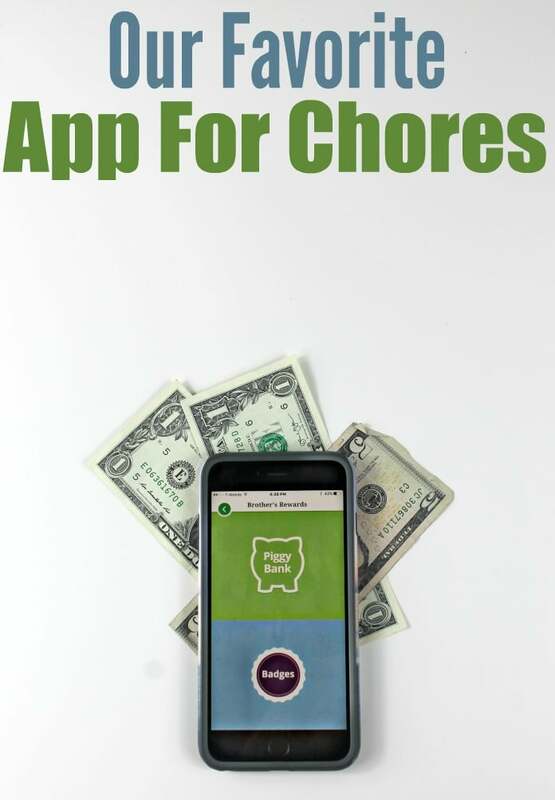 We all know how easy it can be to let the kids slack on chores, but making it a fun atmosphere using these steps and the awesome app from COUNTRY Financial® helps so much! In addition to having this awesome app, COUNTRY Financial® is a full service insurance and financial company which offer a full range of services from home, auto, business, retirement planning services, investment management and more! They take a personal approach to planning for people financial futures, even down to helping teach kids good financial practices! COUNTRY Financial® also has a Security Index that measures sentiments in our country about financial security and other topics that impact finances. They use this Security Index to examine current sentiments, on topics such as finances through the use of chores and allowance and came up with the ChorePal app for parents and kids to use together! There are so many great ways to use this app, I love that it can easily be customized to fit your family’s needs. Get the ChorePal app here. 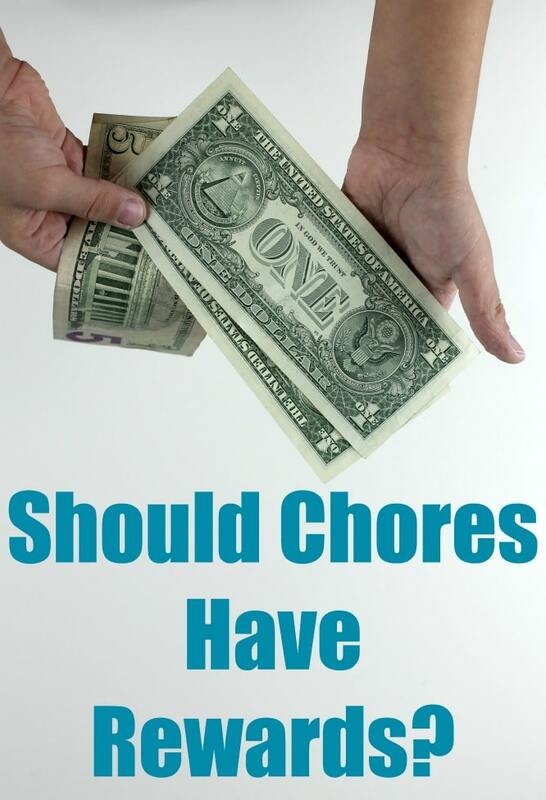 Do you have any special ways you help kids get back into chores after a break? We’d love to hear them in the comments! Hey Buddy!, I found this information for you: "How to get back on track with chores after a break". Here is the website link: https://www.beautythroughimperfection.com/chores-break/. Thank you.